What is Amazon First Reads? That’s how the post read in the Facebook book club group I had been previously engaging in. So simple. An easy question. Yet a loaded one all the same. A choice of books? Hmmm. At the same time, I AM an Amazon Prime Member. I would be able to download my Amazon First Reads choice for Free. What can it really hurt? I mean, it wasn’t like I was being booked out for reviews at the time. I had a reading goal of 100 set in Goodreads and this Amazon First Reads was going to help me meet it! So what happened after that was: I went to investigate what Amazon First Reads is all about and never looked back. You take a chance, you know, when you download a book from a new author or at least a seriously unheard of author. Take a look at Netgalley! People are all signed up, downloading books and then, no matter their intentions, it never gets reviewed. Hell, maybe it was never even finished! Amazon First Reads doesn’t exactly stop anyone from not finishing or not reviewing a book, it just takes away the ability for those people to abuse the system and then allows for more wonderful books to be recommended! Once you are there, take a browse at the books currently being offered and you can then make your choice. Please note that Amazon First Reads is available via Kindle ebooks only. You cannot request a physical book copy. In January, Amazon First Reads offered Prime members the ability to choose 2 free books for that month. I wound up only choosing one because no more than this interested me. Since The Forgotten Hours in January, I have remained faithful to Amazon First Reads. The following were my book picks. The Forgotten Hours was my January book pick from Amazon First Reads. It was the book I chose to introduce me to a new reading “club” and I was wary. I needn’t have been. Katrin Schumann spins a tale of summer youth shattered by a young girls accusation. That accusation will haunt everyone for the rest of their lives. The Forgotten Hours was so good that I even attached the afflink to the image. It’s worth purchasing! Like The Forgotten Hours, The Perfect Child is 100% worth every penny! Click the image above to order a copy. While I would consider The Forgotten Hours to be a coming-of age tale of a young girl who’s youth is completely destroyed when her father goes to prison, I would label The Perfect Child as a psychological thriller about a couple who get far more than they bargained for in Jainie; the poor homeless abused child who shows up in the hospital the young couple both work for. Wholly Unraveled is a memoir. Sadness, abuse, psychological warfare as a child led to substance abuse and anorexia as a woman. Keele tells her story with such brutal honesty that each scene often feels like she is ripping a band-aid from a fresh wound. I was able to visibly picture each character in my mind as I read over the dialogue. A sad tale of how one woman overcame the life unjustly dealt to her and became the powerful and beautiful woman she is today. 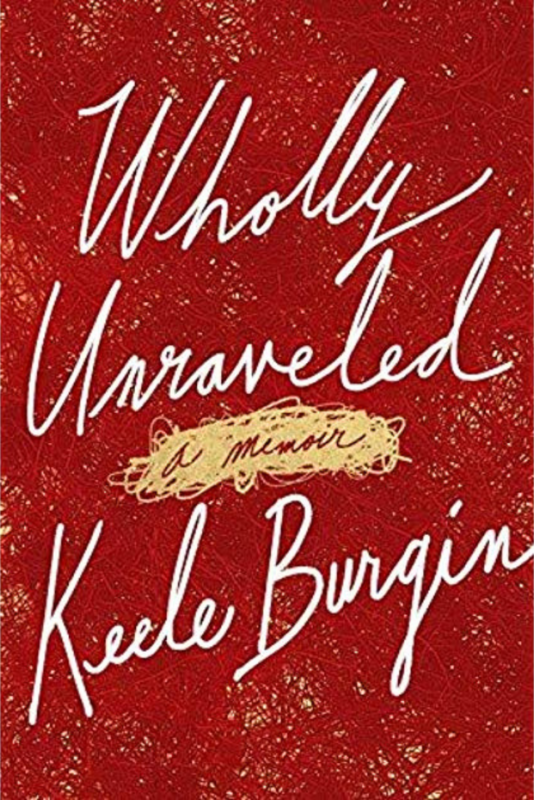 Wholly Unraveled is a wonderful addition to the Amazon First Reads family! Mainly because, like me, you are a book nerd and having one ore place to feed your addiction is 100% exactly what you need. However, if you are not in need of a hit so badly you could rob your local Barnes & Noble, you’ll love Amazon First Reads for its dedication to readers and the book options that are presented. These are not mainstream book club picks. 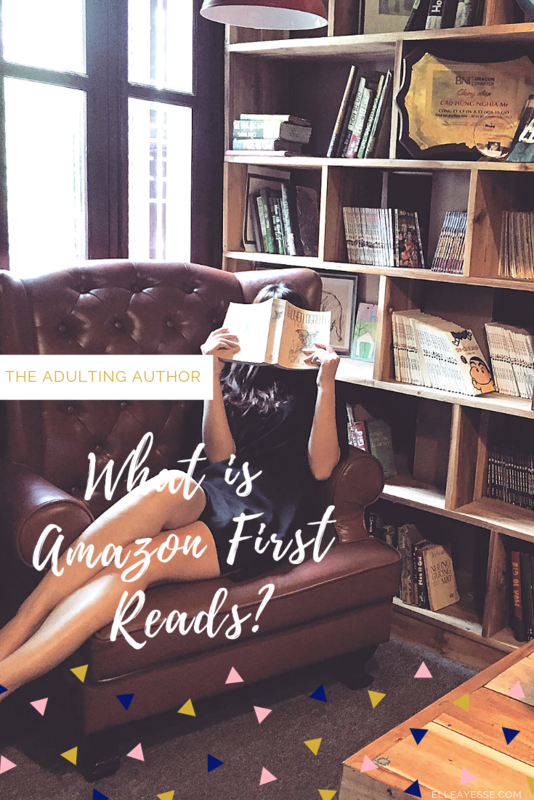 Amazon First Reads is all about bringing the readers what they want while also allowing us to discover the next bestseller before it hits shelves! So maybe you don’t NEED Amazon First Reads. But it definitely wouldn’t hurt to check out. Now you can keep track of your books and everything to do with reading in one specific place! Sign up from the You Read it Here First Newsletter and recieve a FREE Printable pdf copy of #BOOKWORM: a reading log!